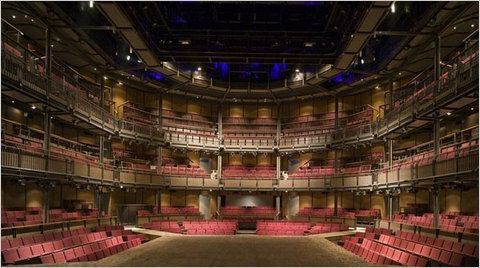 Presenting the new Royal Shakespeare Company mainstage in Stratford Upon Avon. After over three years' renovation, the space is no longer a proscenium but a "1,040-seat thrust-stage theater that will bring audiences closer to the actors." Some behind the scenes video here.